The Entrance to the Preservation Area. 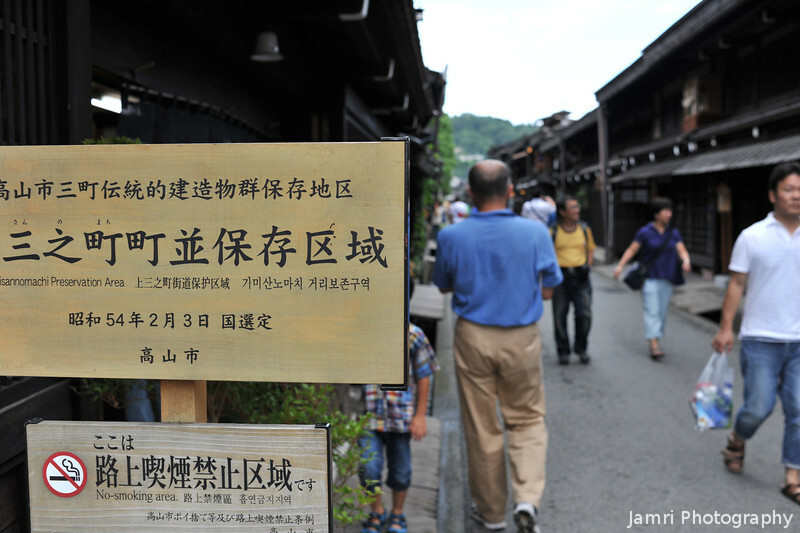 This area of Takayama city in Gifu is nick named "Little Kyoto" because of it's resemblance to old parts of Kyoto. Actually our little party (who all live in Kyoto) thought this place was more authentic!